Tickets £43 online or £70 at the event. 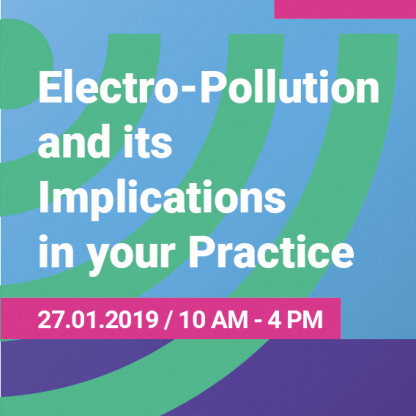 The launch of an annual meeting, the talk on “Electro-Pollution and its Implications in your Practice”, will explore the science behind Electromagnetic Fields (EMF) and common dilemmas arising in modern environments. 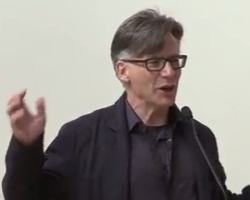 The day will provide insight into current research on the topic and give practical advice on what you can do. This event is a must for any student or practitioner looking to remove a modern-day obstacle to cure. Guy Hudson, an experienced EMF hygiene and measurement expert, physicist, electrosensitive and contributing advisor for the International Guidelines on Non-Ionizing Radiation IGNIR. electromagnetic waves, the earth’s magnetic field and the difference between natural and man-made EMF’s. How to get reliable measurement results and using them to good effect.